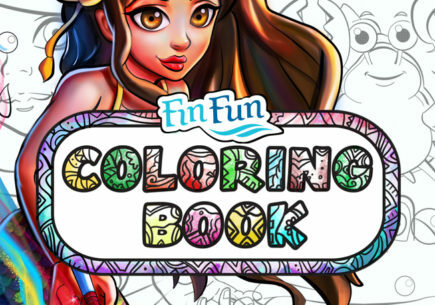 Welcome, FinFriends! I am Serena, Mermaiden Princess of the Mediterranean Sea. I have been chosen to represent my kingdom in first contact with the human world. In this I am truly pleased. All my life I have wondered about the landfolk and their strangeways. To be part of this historic time when our two worlds are finally united is such a thrill! To tell you some things about myself: My parents rule the Mediterranean Sea as Queen and King and as their daughter I am a royal Mermaiden. This means I am gifted with special powers to be used to bless my merfolk. 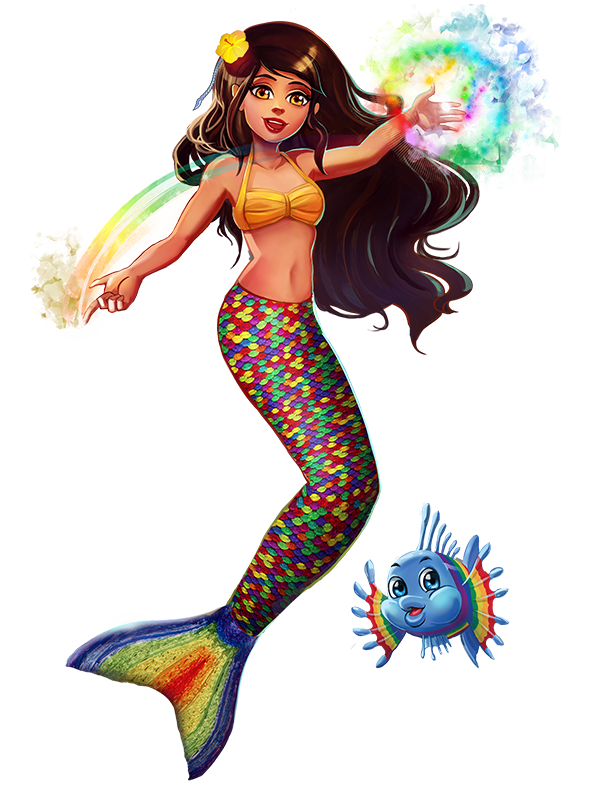 My power is the gift of Kaleidoscope, which means I can change the color of anything I touch… coral, seaweed, fish, even my own tail! “Not true,” I said. 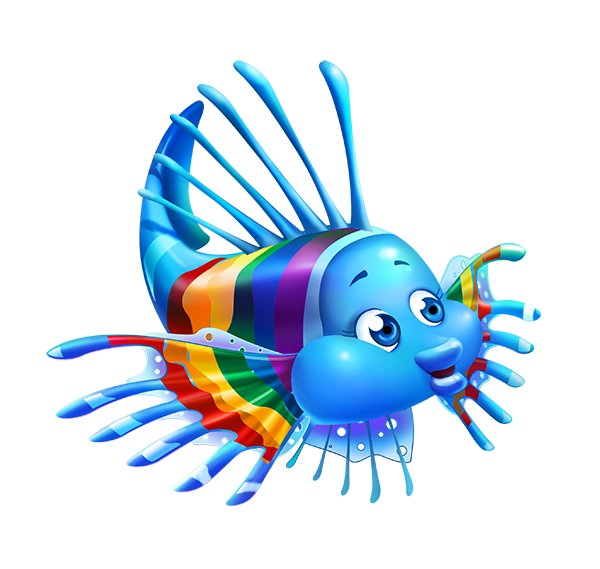 Then carefully I wrapped my tail fin around him and concentrated as hard as I could on the most bright and vibrant colors I could imagine. I waited a moment to be sure my power had worked and when I opened my fin, his gray scales had transformed into the most beautiful rainbow pattern! 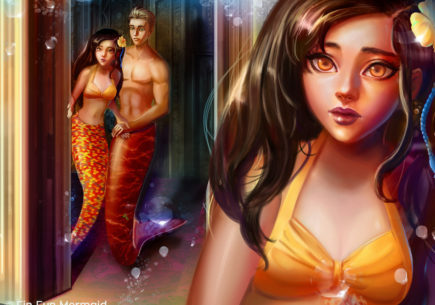 He gaped up at me as I grinned back, then he quickly looked down at his little fins—now brightly striped with blue and green and yellow—and gasped. Our eyes met and he smiled the best smile I’ve ever seen. Without a word, we both raced up to the surface so he could see his whole reflection. Over and over, back and forth he jumped out of the water from all different angles so he could see his new colored scales shine off the water. What a joy to see him so happy! I’d never felt so good before. It was better than all the gifts and royal praise I’d ever received. That’s when I knew what I wanted to do for the rest of my life—help others to feel happy! I do this through creating beautiful places and unique fish scale patterns. 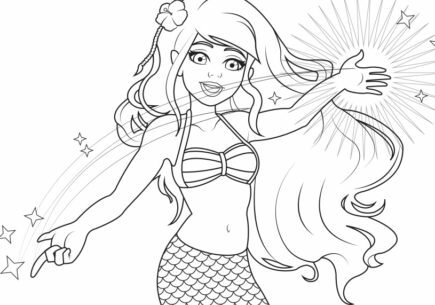 I even change mermaids and mermen’s tail colors to all different shades, patterns and colors. I love to see their smiles and how confidently they swim afterwards. Anyway, so that’s how I met Picasso, the little gray triggerfish who no one will ever call “pig-faced” again. Ever since then, Picasso and I have been best finfriends. We go everywhere together and always have so much fun painting everything we see. He comes up with so many wonderful designs! I’d love to show you some of our creations sometime. 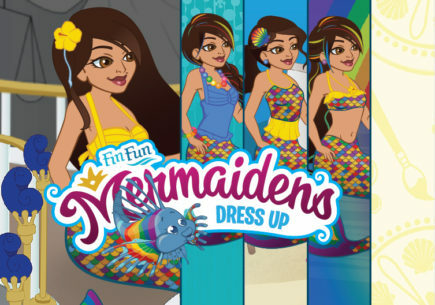 Thank you, finfriends, for taking time to learn about the MerWorld. 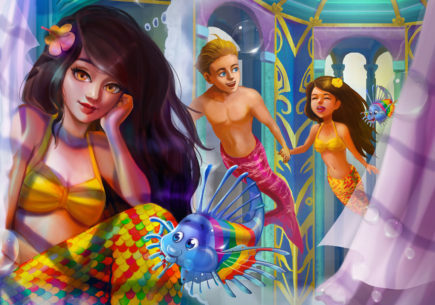 I’m excited to share more stories from under the sea with you. I love her power it’s AWSOME! the newest ones are the asian magenta, malibu pink, aussie green, and arctic blue I’m pretty sure. i have the Aussie Green. finfun, I love your colorful tails. I was wondering if ya’ll have any new tails besides these awesome designs. I just love your tails! This is a great program you have going. OMG I REALLY WANT THIS TAIL!!! 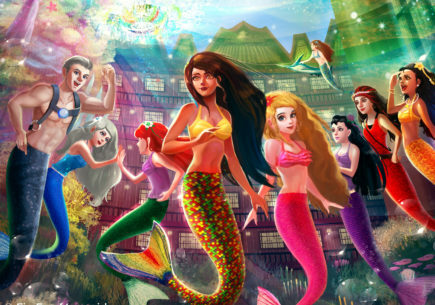 I just learned about these tails… my daughter has been obsessed with mermaids for the better part of her life, she would LOVE to win one! I love this tail color. My real name is Serena and I thought it was sweet when I saw that the mermaidian princess name is Serena. My sisters kinda laughed at me though saying that it was a little weird. Good luck to everybody! May the tide turn in your favor! 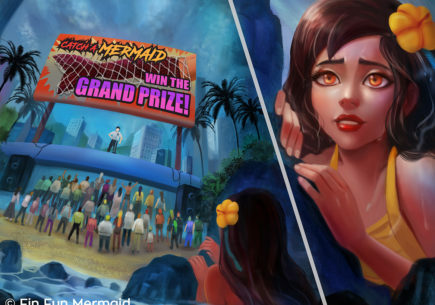 I want to win a mermaid tail, but I already have Diamond Shimmer! I guess I’ll just cheer everyone on!